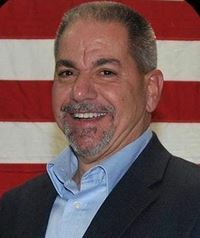 The following is from Jackson Mayor Michael Reina, the winner of last Tuesday’s election. I am truly humbled by the amount of support that came my way this past election. I am overwhelmed at the faith and trust the residents have bestowed upon me by the votes received in our victory. Once again, I have to say that I am extremely honored to serve as your Mayor for the next four years. Looking forward and past the personal attacks we had to endure this election, our message of moving the township forward is real. We will continue to prioritize our goal to maintain and increase public safety, bring in clean commercial ratables, revenue, jobs and keep quality of life standards as high as they can be and continue to stabilize taxes. My administration and I will continue to be informative and transparent and in doing so, Jackson will continue to strive to be a role model, destination for visitors to enjoy while maintaining its beauty and infrastructure throughput our community. Working together we may not be able to solve the world’s problems but we can work together as one community, one family to achieve a quality of life that many will enjoy for years to come. Thank you to all the residents in Jackson who have come together and supported me through thick and thin, those who saw through that hate and lies and those who were undecided up until the last minute and cast your vote my way. You are all what makes Jackson Township a great place to live. Thank you to my family and close friends who also endured a very tumultuous campaign, without you, all of what we accomplished could not have been done. Jackson Township; thank you for taking time out of your busy schedules to vote. You have my word that I will continue to represent each and every one of you to the best of my ability for the next 4 years. God Bless you and God Bless America. There are 11 Comments to "Message from Jackson Mayor Michael Reina"
I voted for ya. Wishing u the best of luck and wishes for the future. Congrats Mayor! My wife and I proudly voted for you We appreciate that you are working with our orthodox community to keep Jackson a beautiful and peaceful town but allow for our religous needs to be met as well. May God bless you with 4 productive years of growth and prosperity! Thanks to you and your family for all that you on behalf of all of Jackson! So, he wants to increase COMMERCIAL ratables. So, he’s basically telling you he’s not interested in residential ratables, which is fine – He wants to avoid over-develpoment – but keep that in mind if you wanna develop land over there. Residential development is not called a ratable because it comes with an increase in school spending. Commecial development generates property taxes with minimal additional municipal spending, so it is refered to as a ratable. He is saying a goal is to encourage clean commercial so our taxes stay stable. That is something all Jackson residents should appreciate. That goal does not relate to residential at all. Read the Jackson Master Plan if you want to know goals for residential development. The election season got ugly. As the Mayor says, let’s work together to keep Jackson a desirable town. Interesting how there is no mention of keeping all residents safe from anti-Semitic incidents and inflammatory rhetoric. Really, you need a special mention of this? What makes you believe this topic is worthy of special mention? All residents should expect to be kept safe. There is no need to single out one “special” group. As for the rhetoric, last time I checked free speech was still a right in this country and like the old saying goes – if the shoe fits! I am not a Jackson resident and i appreciate driving through Jackson and seeing trees, lots of them. As opposed to over developed pieces of land. We need trees to keep the air we breathe oxygenated. You – like your opponent – should apologize for your hateful and false campaign fliers. Shame and blame goes to both sides! The ballot was just a choice to vote for the lesser evil. @fred. Free speech is a constitutional right. Definitely. But please explain to me,why it was ok that i had to sit my 2 beautiful daughters,ages 8 and 5,down for a talk,on why people will hate them just because they are jewish. Why i had to prepare them for this ugly side of this hate filled world. Because yes,when they are outside walking with me and enjoying the gorgeous neighborhood i live in,people in cars are screaming out **** you jews. Die,jew,die. At my kids. Fred,do u have children? Wouldn’t you want the reassurance from the elected official that they can live peacefully? And just for the record,my non-jewish neighbrs are lovely,friendly and warm people. Horrified as i am on what hate is doing to this town.